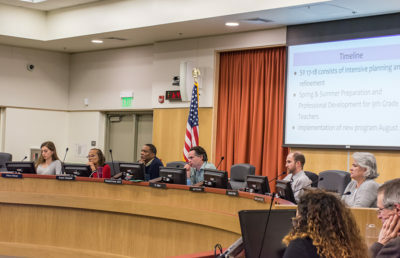 Two weeks ago, on Feb. 7, the board voted to approve $1.6 million in budget cuts, falling short of its target of $1.8 million. This week, the board met to discuss the additional $200,000 to be cut from the 2018-19 budget. The additional reductions, which will bring the total to about $1.79 million, will include reducing homeless student accommodations, legal costs and consulting fees. 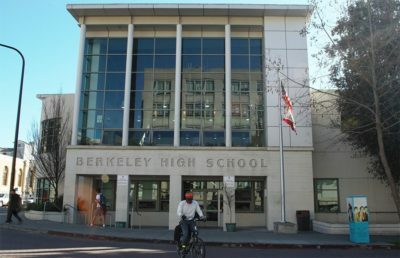 Along with these considerations, the board looked at a measure to cut safety officer positions from Berkeley High School. Originally, the board planned to cut two officers and proposed cutting an additional two safety officer positions. In response to public outcry, however, the board ultimately decided to cut only two safety officer positions. According to BHS principal Erin Schweng, the school currently has 15 safety officers for 3,100 students. According to Schweng, safety officers are the people that notice if something is going to happen between students and can intervene, if necessary. She said the safety officers do a lot of “proactive” in addition to “reactive” work at the school. Longfellow Middle School secretary Roquael Baham said during public comment that she is “not above begging” board members to look elsewhere when balancing the budget. According to Baham, earlier this year, a safety officer removed the threat of a weapon outside of campus. That same day, Baham said to the board, the safety officer found out that his job was on the line. Schweng said the safety officers not only patrol the campus, but also get to know the students and are the first people that students go to with a problem. Mark Griffin, a safety officer at BHS, said during public comment that losing safety officers will mean losing people who work with families on a continuous basis to make sure that their kids succeed. 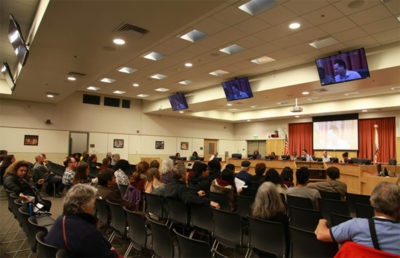 During public comment, Claudia Gonzalez, coordinator for the Academy of Medicine and Public Service at BHS, said although the school board decided to cut two instead of four officers, she still finds it difficult to imagine losing even one safety officer. According to Gonzalez, there are already points in the day during which areas on campus remain uncovered. Ella Colbert covers schools and communities. Contact her at [email protected] and follow her on Twitter at @colbert_ella.